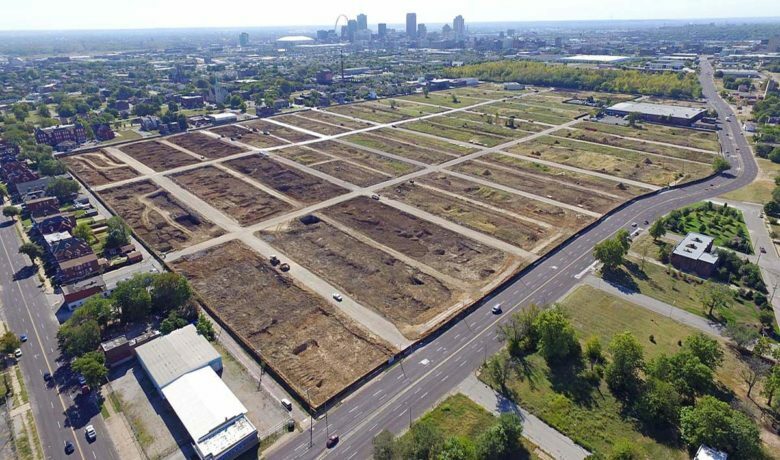 NGA West is set to be built in Old North St. Louis. One of the hottest technologies these days is built around what some call the science of location, which powers everything from the maps on your phone to sophisticated guidance systems for missiles. St. Louis is one of the hottest locations for entrepreneurs and economic developers involved in the technology. 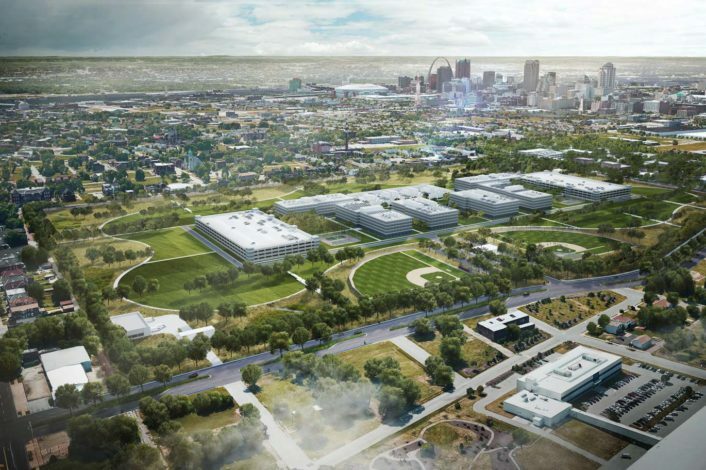 It’s likely to get hotter, thanks to a commitment by the federal National Geospatial Intelligence Agency (NGA), which plans to build a new $1.75 billion west headquarters in North St. Louis where 3,100 employees will work. The region’s business and political leaders, economic development officials, educators and entrepreneurs recognize the technology’s economic potential in the region. Mapping applications on phones are probably the most obvious use of geospatial technology. But they’re just the surface. Real estate development, agribusiness, logistics and transportation, retailing and the defense industry are just a few of the industries in which geospatial technology is playing a central role. “We realized during the competition phase the impact of the NGA that we had untapped potential,” to grow St. Louis as a hub for businesses involved in geospatial technology, Otis Williams, executive director of St. Louis Development Corporation. Hagen’s organization is so convinced of the opportunity that it is devoting an entire floor of its downtown building to a Geospatial Resource Center. T-REX’s building is about a mile and a half from the planned NGA campus, which is expected to open in 2025 in the St. Louis Place neighborhood at the intersection of Jefferson and Cass avenues. The main building of NGA West will be 700,000 square feet. “Location technology really permeates operations on the part of all industries and corporations, and since T-REX is really focused on advanced information technologies and encouraging advanced information technology, this really fit well into the focus that we have for our city,” Hagen says. The T-REX resource center is one of the ways the St. Louis business and economic development community is helping to expand the geospatial footprint in the region. Williams says the NGA offices and the push for a geospatial business hub could also be a boon for development in the northside area of the city that needs it. NGA has had a presence in St. Louis for many years, but it’s been low-key. Recently, though, the agency has emerged from the shadows as the technology has advanced and the need to attract talent in a competitive marketplace has intensified. 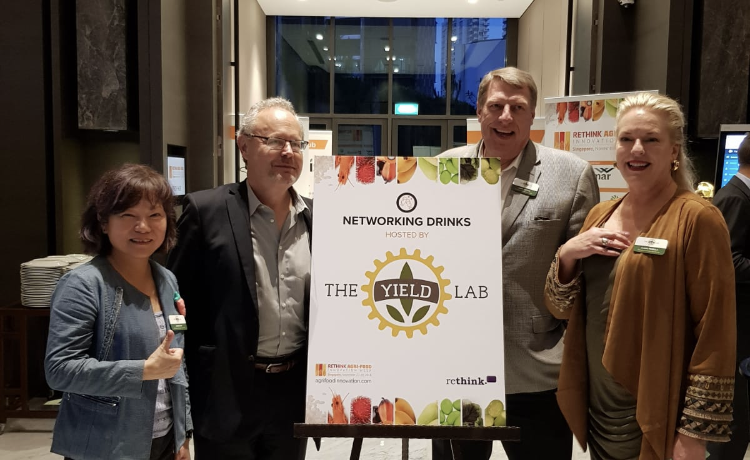 “They needed to open up their culture and interface with the innovation community and also find ways to attract and retain young, talented people to work with them,” Hagen says. 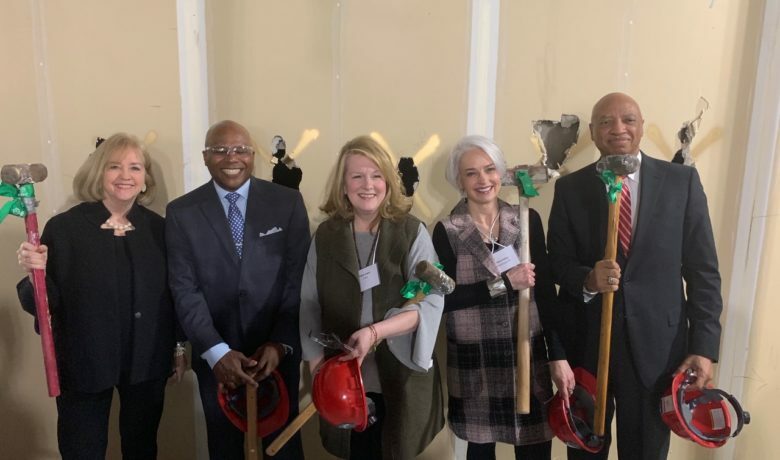 That emergence helped drive a public push including the T-REX geospatial center and a working group of business leaders meant to solidify St. Louis’ position as a leading center of the technology. “This group is laser-focused so that as this industry grows St. Louis can be recognized as an international hub,” Hagen says. 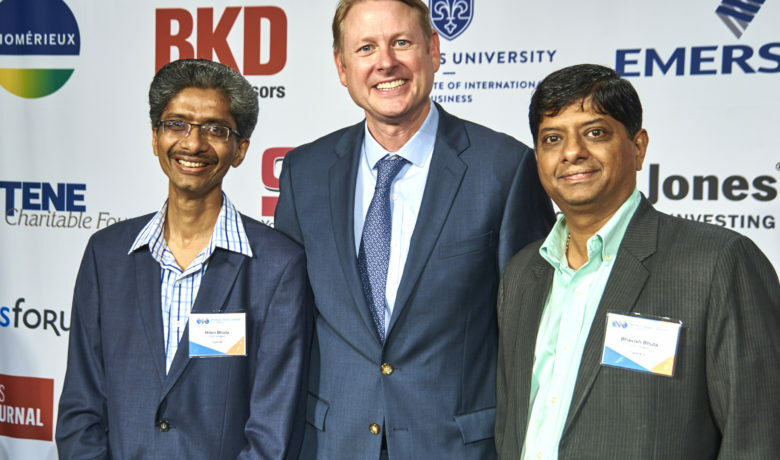 Industry leaders such as ESRI and startups such as open-source geospatial software firm Boundless have been attracted to the region, thanks to the presence of NGA and St. Louis’ location in the heart of the Midwest. ESRI, which has its headquarters in Redland, California, has a growing presence in the St. Louis region, says Tara Mott of the company. ESRI has added 10 people to its St. Charles office in the past year, as well as two to its office in Kansas City. And the company plans to add 10 more employees in the next few months.